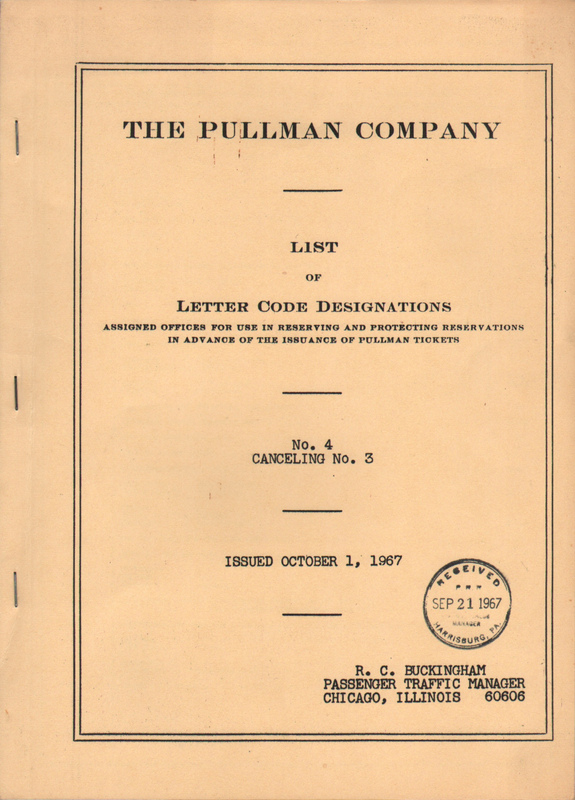 Description Pullman 1967 List of Letter Code Designations No. 4 - Assigned Offices for use in reserving and protecting reservations in advance of the issuance of Pullman Tickets. Includes most railroad stations/terminals with Pullman service in addition to other locations, such as city ticket offices, that sold Pullman Accommodations. 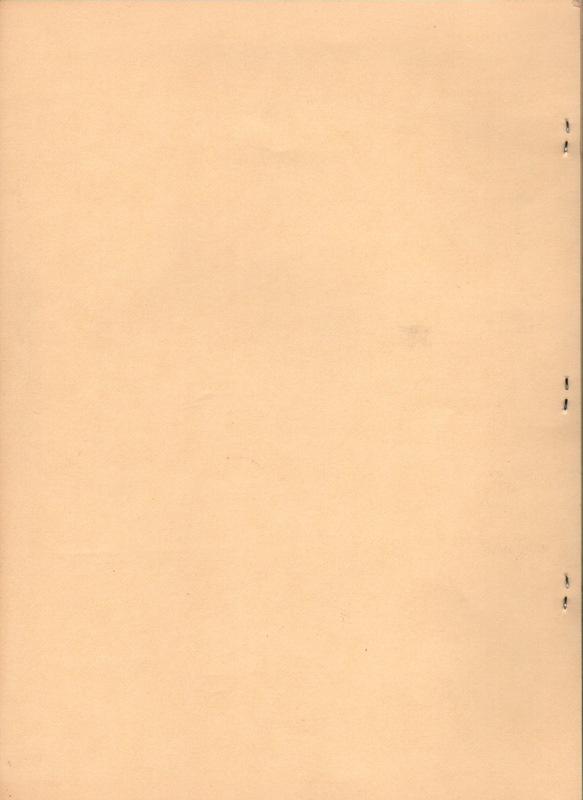 Stamped "Received, PRR, Harrisburg, PA. SEP 21 1967"